When I mentioned on my Instagram stories last Friday that I'd never been to WOW and was going that night, you guys were shocked - I know this because you told me that, borderline scolding me for this act of treason! Yes. I, Lucy Jane Revill, fartiest of the arty farty, had never been to the World of Wearable Arts Show. I hadn't gone because my mum had been once but never taken me and none of my friends had ever suggested I go. I guess then somehow the whole phenomenon had just gone over my head. Don't get me wrong, I knew it was a big deal for Welly. But I'd always just had it slip off my radar when September came around. 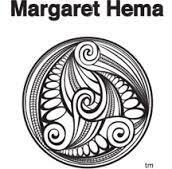 In case you don't know, the World of Wearable Arts is a competition which has been going in New Zealand for 29 years. The goal is to design a costume that pushes the limits of design and imagination. It can be anything at all! It started in Nelson but now its home is the Capital City, my own hometown of Wellington. It has been here now for just over 10 years! So, to make sure you don't make the same mistake, here are my top 5 reasons to visit World of Wearable Arts. 1. People dress up very fancy - and so should you! Honestly, Wellington is a phenomenal place in so many ways but where it possibly falls down from time to time is that it isn't always very glam. We do go with comfy over chic quite often, and let me be frank, I am all that. However, it is very nice to see people of the Capital putting on their glad rags to head out into town for WOW. When I arrived, I was amazed by the beautiful set-up of Queens Wharf - all red lights, and the costumes from years past - but surely it was topped by the wonderful outfits people had chosen to wear, from fur coats to strident boots and even the odd leather corset or two. Of course, some of the WOW fashion designers were in the mix because I attended awards night, some of whom looked like their own clothes were an entry to the competition, but it overall was a refreshingly glam spark on Welly's calendar. Never having been, I was just expecting a few models walking up and down the runway. Not so. WOW is a sound and light musical extravaganza and it truly blew me away. 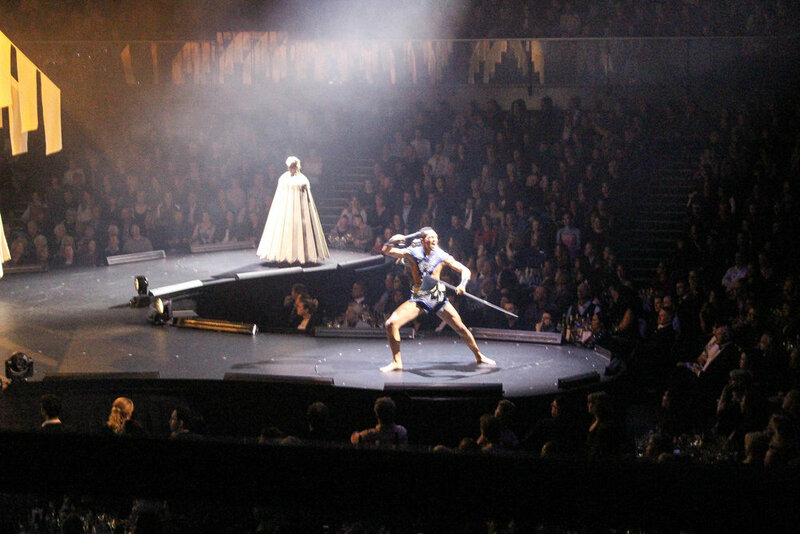 From the opening, a plot emerged, where special effects took the stage, blending Hollywood review with traditional Maori and some scary scenes as well. 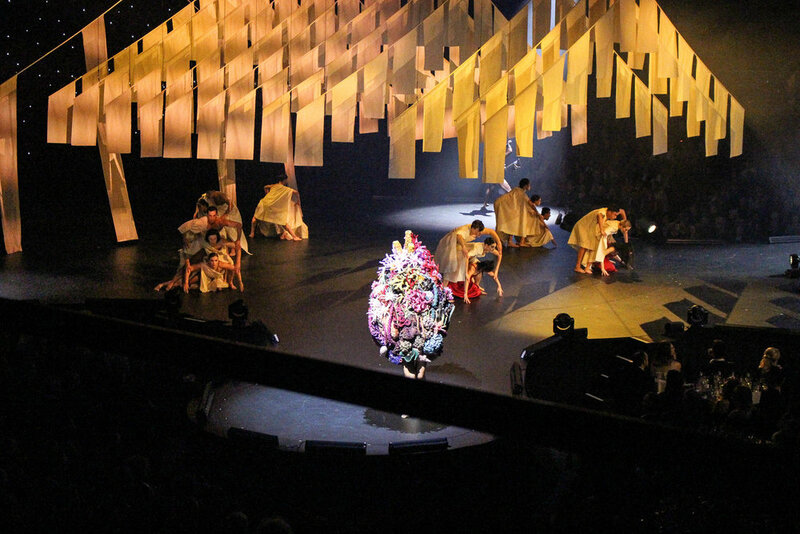 It was more like a piece of dance performance, with each segment telling a story. I don't want to give too much away so I'll stop there but it really was an incredible merging of the arts all on one stage. In a time where CGI is commonplace, it is truly something to witness on stage magic that takes your breath away. Oh. My. God. I didn't even know people could possibly think of such amazing and crazy costumes, let alone make them. With every model that emerged from the curtain, walking across the stage (which had 5 mini runways so no one, no matter where they were sitting missed out on seeing the costumes) we, the audience, gasped and swooned. When a costume was especially good, people clapped and cheered. Some costumes were made from recycled goods, all foraged, and others from LED lights and raffia. There were fairy-like costumes, bug-like costumes, robots, and a latex cub gimp-suit kind of thing (I don't want to know how the guy inside could possibly see!!). My mind was genuinely surpassed by the creativity. WOW gives entrants freedom of expression without the constraints of commercialism it encourages lateral, original thinking and provides the opportunity to be innovative and inventive. 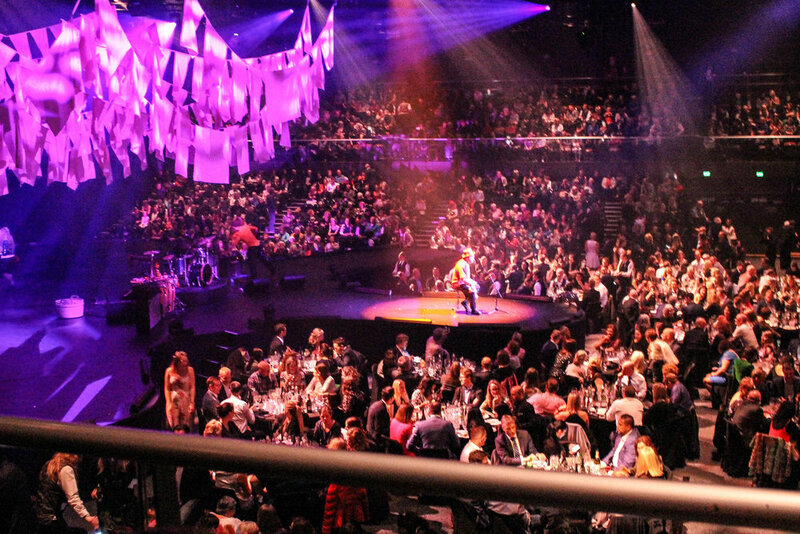 This year, the organisers of World of Wearable Arts Show expect 55,000 people will see the show in Wellington. I mean, WOW! But it isn't just the audience who are an international bunch. I was shocked to find out that WOW is truly an international competition, with participants from the UK, Scandinavia, Malaysia, Thailand and the United States as well as Australia and of course New Zealand, just to name a few. In fact, half of the entries are from people outside of New Zealand in the competition - fighting for the $30,000 grand prize. Funnily enough, I hadn't really got my head around the fact that WOW had grown to such heights, still thinking of it tied to Nelson with slightly over-the-top bras. As a result, it truly attracts talent from all the world and I must now eat my words (although, someone has probably already made a costume about that concept!). From the start of the event with the fake protesters outside to the overarching plotline of the show, to the suspension of belief that we shared as an audience as dancers leapt across the stage and flew into the sky, this year's show was one that reminded us about the power of our inner child. It was a beautiful night that showcased the limits of human imagination and got those creative juices flowing (how many times can one blog post use the world creative??!). So you must remember not to forget going to events like WOW, no matter how busy you are, because you'll take away more than a great evening. It will inspire you to create, grow and challenge yourself. If they can do it, so can we! Make sure you get a ticket, grab your girlfriend and a bottle of Pinot Gris! You won't regret going to WOW. It is an amazing night out!! You can buy tickets here.